Millsboro – The Delaware State Police (DSP) have arrested Jeffrey M. Parson, 33, of Millsboro on assault and weapons charges stemming from an incident that occurred early Sunday morning, according to Public Information Officer, Master Corporal Michael Austin. Austin said on Sunday, September 2, 2018, at approximately 5:37 a.m., Troopers responded to the 26000 block of Sea Mist Court, Millsboro in reference to an assault involving a weapon. Upon their arrival, Troopers made contact with a 40-year-old Millsboro man who had sustained a stab wound to his torso. The victim advised that he was involved in a fight with a male subject, who was later confirmed to be Parson, during which he was stabbed, said Austin. The victim further advised that during the altercation the subject also struck the windshield of his vehicle causing damage. The victim was treated on scene by EMS before being transported to an area hospital. The initial investigation of the crime scene by Troopers led to the recovery of a knife, which had blood on the blade, in front of a residence adjacent to the where the assault occurred. 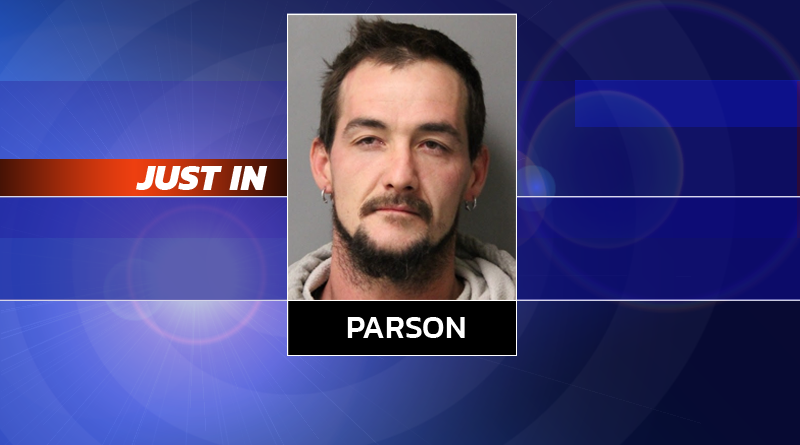 Further investigation resulted in the positive identification and apprehension of Parson who was located in a nearby residence, according to Austin. Parson was transported to Troop 7 where he was charged with one count each of Assault 1st Degree, Possession of a Deadly Weapon during the Commission of a Felony and Criminal Mischief Under $1000.00. He was then arraigned in Justice of the Peace Court #3 before being committed to the Sussex Correctional Institution in lieu of $101,000.00 cash bail. Correction: An earlier headline indicated that the victim was stabbed in the chest. The patient was stabbed somewhere in the torso, according to DSP, but it’s not immediately clear what area of the torso.